The newest and most advanced technology in breast cancer detection. Our practice offers a clinically proven treatment for the underlying cause of your varicose veins. Our leading technology gives you peace of mind. St. Joseph’s Imaging Associates has been providing Radiology services to the community since 1976. We presently have offices in eight convenient locations. A Board Certified Radiologist is present at each location for immediate results. Registered and licensed technologists perform CT, Ultrasound, X-ray, Bone Density, Digital Mammography, Digital Fluoroscopy and Nuclear Medicine examinations. The staff is extremely competent, friendly and compassionate. At St. Joseph’s Imaging Associates, we take the time to care about patients and offer a unique experience to those individuals requiring our services. All of our Imaging Centers accommodate emergency studies as needed, yet our patients are rarely kept waiting past their appointment times. St. Joseph’s Imaging Associates has been in the community for over 40 years. Our radiologists encourage patients to take preventative steps to stay as healthy as one can be. We’re here to help during the times you need it most. 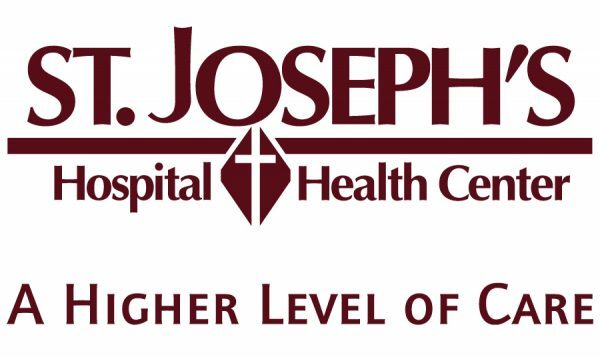 St. Joseph’s Physicians is an affiliate of St. Joseph’s Hospital Health Center. St. Joseph’s Physicians consists of seamlessly integrated practice areas and complementary ancillary services with convenient locations across Central New York. The purpose of the Comprehensive Breast Health Program of Central New York is to ensure that all women with breast disease receive quality care. Through the processes set up in the Program, women can expect to optimize their results for prognosis, physical and cosmetic outcomes and even emotional stability. In 2014, St. Joseph’s Imaging and St. Joseph’ s Hospital entered into a joint venture for all radiology services provided by St. Joseph’s Imaging as well as the out-patient imaging services provided by St. Joseph’s Hospital. The radiologists of St. Joseph’s Imaging have been working at the hospital since 1976. Breast Care Partners is a diverse group of breast health specialists in Central New York, who have partnered together to ensure each patient the best possible breast care available. The MRI Specialists in Central New York since 1985. MDR has been our partner in healthcare for over 20 years.